Farming Dark Elixir at Town Hall 7 is much harder than higher Town Hall levels because you can’t take much from other TH7 villages, TH6 is easy to raid but they don’t have DE and it is pretty hard to raid DE from TH8s. Moreover, TH7 players still don’t have much experience to break inside a Town Hall 8 base. I have noticed that most TH7 players have troubles with farming DE so I’ve just decided to write this small guide for you guys! This farming army is the weakest but also the cheapest and quires just a little time for training troops. The main targets of this farming army composition are inactive bases with uncollected Gold Mines, Collectors and Dark Elixir Drills outside. As I said above, this army composition is just useful for farming Dark Elixir in uncollected DE Drills outside the bases. Of course that you can break inside but with TH7 troops, it is be a hard job unless the base you attack has at least 2 Mortars being upgraded. Before starting with this method, you should read this post to learn recognizing inactive bases with uncollected mines/collectors. If you are at Bronze/Silver leagues, give it a try to go to either Gold II or I league to find DE easier. You also should read this guide to see when is the best time for farming in game, when you can find inactive bases easily. For searching easier, you can use Xmodgames and set the minimum Gold and Elixir to 150k(inactive bases usually have more than this). This is the best army composition for farming Dark Elixir at Town Hall 7 IMO. It is not too cheap and not too expensive, consumes a decent amount of time for training troops but very fun and effective. To use this strategy, you must upgrade your Giants and Healers to their maximum levels at Town Hall 7 to increase the chance of surviving and winning. Giants, Healers and Wizards are 3 main troops of this strategy. Deploy your Giants at first and followed by 2 Healers. While Giants are taking damage and being healed buy the Healer, your Wizards and other troops are taking down nearby buildings without being hurt. You can replace all Archers and Barbarians with Wizards but that will cost more Elixir and training time. Always check the enemy Clan Castle at first. Most TH7 and newer players usually miss this important step. If you don’t check and kill the enemy Clan castle, they can ruin your attacks anytime. If the enemy Barbarian King is outside, kill him with your Archers and Barbarians. If you have Barbarian King, always use him to skyrocket your farming speed. If you see any Air Defense that can be destroyed by your Archers and Barbarians, destroy it to protect your Healers later. Attack from the sides which is not protected by Air Defenses. If that base has symmetrical Air Defense placements, attack from the side which is the closest to the Dark Elixir Storage. If the Mortars and Wizard Towers are at outer ring, wait your Giants destroy them before deploying your Wizards and Archers. Always place Giants before Wall Breakers and don’t massively send your Wall Breakers at a time, 2-3 Wall Breakers are enough. If your Giants’ healthbar turn to red, don’t hesitate to drop your Healing Spells. Without Giants, your attack will be end within seconds. This strategy is a mini GoWiPe (a popular strong army composition at higher TH levels) . By using this farming strategy, you will have a decent experience of using GoWiPe. 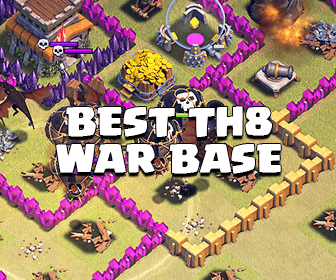 By using the farming strategy above, there is no reason to can’t get inside any TH7 and 8 base. Basically, even with just the number of Giants and Wizards above, you can farm DE easily. Before sleeping, train Dragons in all of your Barracks and 3 Lightning Spells. This strategy takes a lot of time for training troops so train troops when you are busy and at mid-late Town Hall 7, when you don’t need much Elixir for upgrading buildings and troops. By dropping 3 Lightning Spells on a Air Defense to destroy it, you can take down all other TH7 bases. An Dragon army is the most powerful composition at Town Hall 7. Moreover, by using this strategy, you will know how Dragons work better, understand their moves and prepare for your attacks with Dragons in Clan Wars in the future. Maybe this guide about Dragons will be helpful for you! Farming well is not enough, you need to also protect your resources well. Take a look at the Base Layouts section for the best farming base layouts for Town Hall 7. 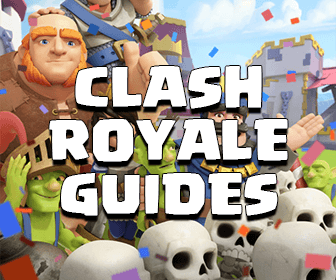 I hope after reading this guide, you can choose the best time, the best league and best strategy for farming Dark Elixir and I hope you can get the level 5 Barbarian King after a week. Don’t hesitate to ask me any question, I will try my best to help you!